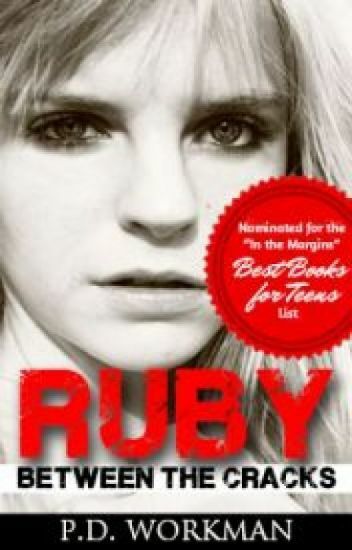 Ruby is featured on the Secret Lives of Americans Pivot reading list. If you asked thirteen-year-old Ruby, she’d tell you she’s happy with her life. She’s tough and independent and doesn’t depend on anyone else. The road that has led her here has not been easy, and she’s blocked a lot of it from her memory. —You know it’s a great book when you have to keep reminding yourself that the characters are not real people. I really cared about Ruby, and she gave me some bad moments. I desperately hoped her story would have a happy ending. — “Ruby" really put me through the wringer and I actually had to put it down a few times because I needed to return to reality … There was no chance I was going to stop reading until I knew how the story ended! … I seriously can’t wait for book two! Sign up for my e-mail list at pdworkman.com and get a free ebook! Sneak preview of "June and Justin"
[COMPLETED] Solaris Monroe loved the moon. Bade Sommers loved to run, track. At school they were people who never seemed to cross paths. She knew who he was, and in some weird way, he knew who she was. But they both didn't know that. On the last day of school, their town experiences a black out. No lights, no electricity. Trying to stay cool, they both wander around town together. And in the process they get to know each other, and soon, sparks fly. But what happens when the blackout is over, and everything goes back to normal? Will they go their separate ways and never see each other again, or will their paths cross like before? Placed on the Suggested Reading list of School Library Journal's "In The Margins" 2018 literary awards. - I love that P.D. Workman takes you into the darker sides of life and makes you realize after reading one of her books that you shouldn't judge someone by how they act or look because you don't know all that they have been through. Chloe is a very shocking and riveting story about all the risks one girl will take just to try and keep a part of her family together, no matter what it costs her. - This is one of the more disturbing stories I have ever read... I don't think I will ever forget Chloe's story. - It feels like I'm reading about my best friend or a family member. I'm thinking about the characters even when I'm not reading the book. [P.D. Workman's] writing style captivates me like no other. - I could never be as strong as Chloe, the way she grows throughout the book with her strength and learning how to overcome the tragic things that took place in her life. I kept wanting to know more... [it] made my heart happy. Thank you so much for another great read! Fans of Jodi Picoult and S.E. Hinton will love Michelle, award-winning author P.D. Workman's captivating account of Michelle's thought-provoking and eye-opening story of poverty, abuse and addiction. "Daddy... can't we come with you when you leave this time?" -Something about [P.D. Workman's] writing just blows my mind... I hate when I get too tired to read anymore and I have to wait until the next day. -The Between the Cracks books have been absolutely AMAZING... as soon as I started to read "Ruby", I just had to keep going. -I wish I could forget the book Ruby and read it all over again. -This book is utterly amazing, I find myself having more empathy for children in these types of situations than ever before. My heart seriously yearns for them. I can't put this book down. -Every single one of [P.D. Workman's] books has spoken to me in ways no one or almost anything else has. And I have found strength in the books I've read. -The way that P.D. Workman writes just flows amazingly and allows the reader to get really invested in a book. Placed on the Suggested Reading list of School Library Journal's "In The Margins" 2019 literary awards. Ronnie will be coming in January! I am just a normal 17 year old guy. I have various of hobbies. I am training to become a pro soccer player. I enjoy hanging out with my friends. They are two things I am known for in the halls Jameson High School. 3.) I'll ruin worthless relationships for the fun of it. I am Amari Finn and I am love with Spencer Bates; but so is his girlfriend, Cecilia. I adored their love, it was spectacular how they would never give up on each other. But at the same time it killed me seeing them together. Sometimes I wished that he'd leave her and come to me and forget about the relationship they'd once had. I knew this was a terrible thing to wish for but it was true. It looks like I'm going to have to call up the big guns. June & Justin, the eagerly-anticipated sequel to the award-winning Ruby, Between the Cracks, has been released! I will be uploading one chapter per week. June & Justin is available for purchase if you can't wait for the next chapter! He already failed June once. He wasn’t there when she needed him, and because of him, their lives will never be the same. June is everything to Justin, and he must be everything to her. He must protect June at all costs. Justin is prepared spend the rest of his life keeping her from getting hurt again. —A heartbreaking and intense story of the journey of two children to find themselves and happiness. —Is it possible to rise above your circumstances when you already have two strikes against you? That is the question facing June and Justin, children thrust into circumstances that would defeat many adults. Can they ever hope to live happy, normal lives? Tattooed Teardrops is the winner of the Top Fiction award for the 2016 In The Margins Best Books for Teens literary award. The In the Margins Committee seeks books by, for and about kids living in the margins. They strive to find the best books for teens living in poverty, on the streets, in custody - or a cycle of all three. "I don't plan on getting in any trouble." If she can't prove to her probation officer that she is innocent of the allegations against her, she's going back to prison, and Tamara just can't let that happen. -For me, a sign of a good book is that it is a quick read, holds my interest front to back and I like the characters. This book met the mark on all three of those characteristics. -A slimy villain, an eager-to-please side-kick and a heroine who simply wants to move on from her past make for an intriguing tale, indeed! -A realistic and beautiful story filled with suspense, heartbreaking friendship and loyalty that will keep you reading until the very end.